Stepping into the reception at Rambutan for the first time was like stepping into a dream! We’d just come out of 5 weeks in the bush – free camping, 4wd driving and not much showering – and suddenly here we were in what felt like a posh 5-star resort! What on earth had happened?! 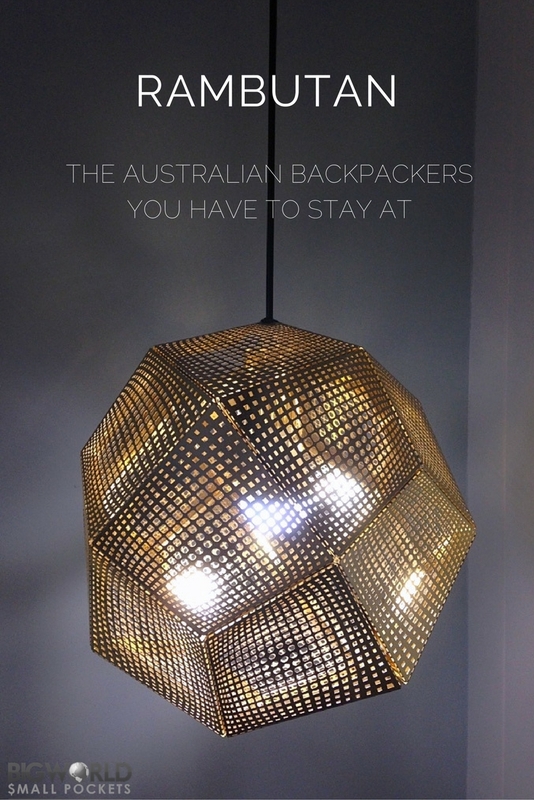 We’d found Rambutan – an Australian backpackers hostel via wikicamps – the trusty app we’ve used to find free and cheap camping on our road trip. Making our way into Townsville, the unofficial capital of North Queensland, Rambutan flashed up on our screen as offering great value camping right within the city. Feeling like treating ourselves to hot shower, we decided to make a beeline for it. Our return stay was sponsored by Rambutan, but as always, all views are my own. And so we arrived, dusty and dirty around the edges, into what felt another world. 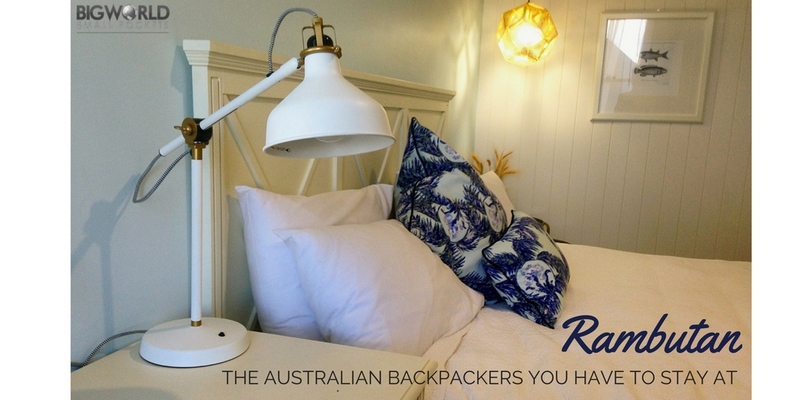 Known as a 5-Star Australian backpackers, Rambutan offers the ultimate in “flashpacking” experience for those travelling Down Under. From it’s smartly dressed reception staff, to its deluxe bar and restaurant and its incredible rooftop pool area, this place is the bomb! 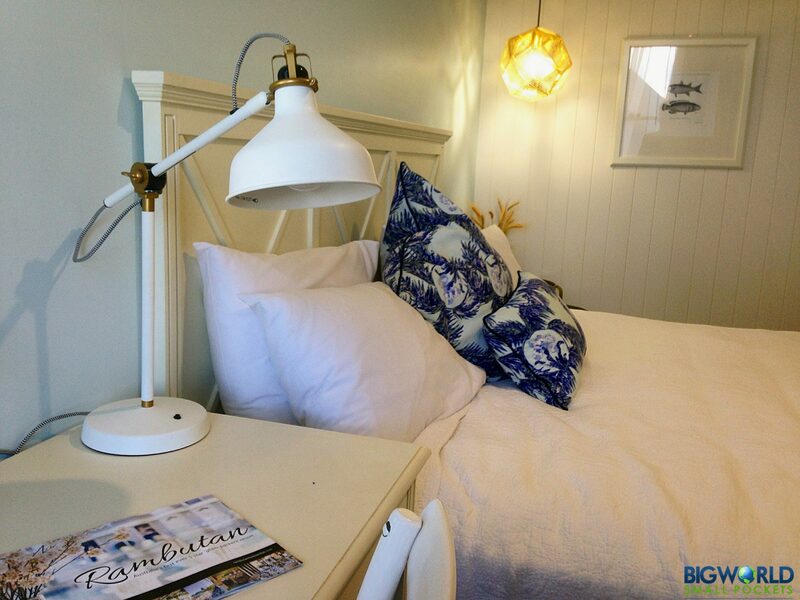 The decor, all trademarked in a sophisticated blue and white, has a distinctly New England beach house feel to it. Coordinated and classy, yet still comfy and cool, it’s the perfect feel for a hostel that offers luxury at budget prices. Because don’t get confused here folks, what Rambutan doesn’t do is 5-star rates. That’s right, this lap of luxury in the heart of Townsville won’t cost you a cent more than any other usual campsite or backpackers! Starting from $25 AUD in peak season you can get an ensuite dorm here and almost pretend you’re not even backpacking! Parking your campervan at the back of this Australian backpackers will only set you back $25 AUD per site – and that includes power and use of all amenities. 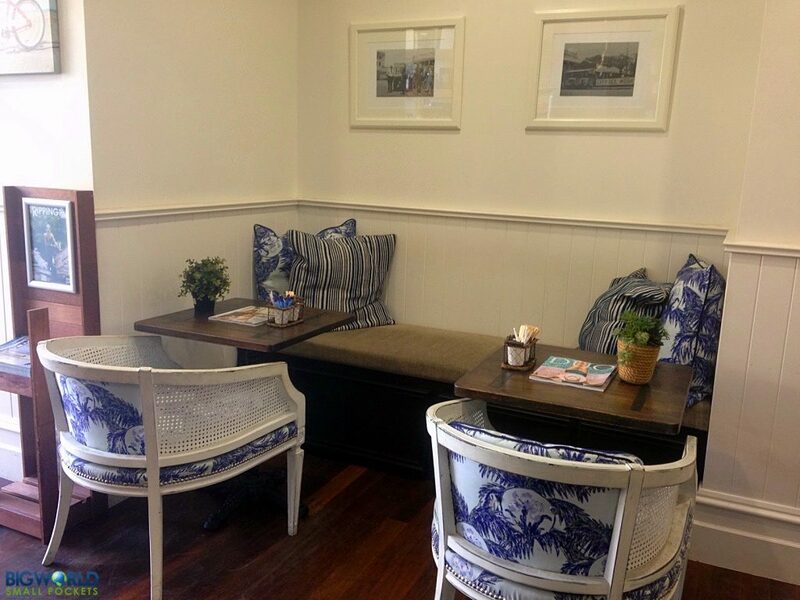 Rambutan also offers deluxe private rooms, which start from just $69 AUD – the perfect treat for a couple like us! For these prices you get unlimited free wifi and the chance to enjoy the best rooftop in Townsville. Yes, Rambutan’s pool and restaurant are something else when it comes to budget travel. Be it relaxing on comfy loungers or day beds, it’s hard not to feel glamorous when you’re sat round the pool here, book in hand and cocktail by your side. You’d never guess you were in Townsville of all places! 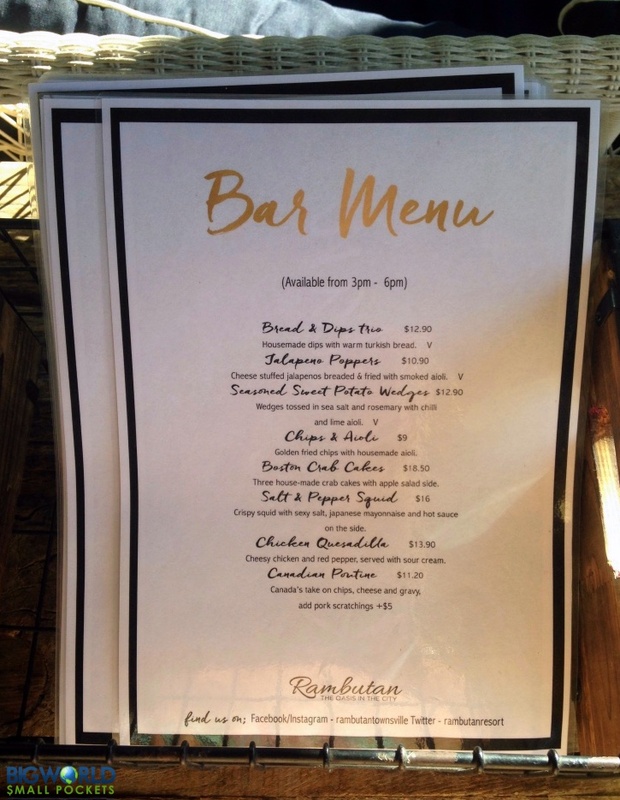 If you’re feeling a bit peckish, then it’s time to move across to Rambutan’s rooftop bar. Overlooking one of the city’s main streets, you can people watch in secret here to your heart’s content. All whilst enjoying delicious food made in-house by the talented kitchen team. I honestly found Rambutan, the most relaxing place we’d been on our trip. With all the amenities you could want at your fingertips, the great music and poolside ambience it was like stepping out of our budget travel lives and into something altogether different! 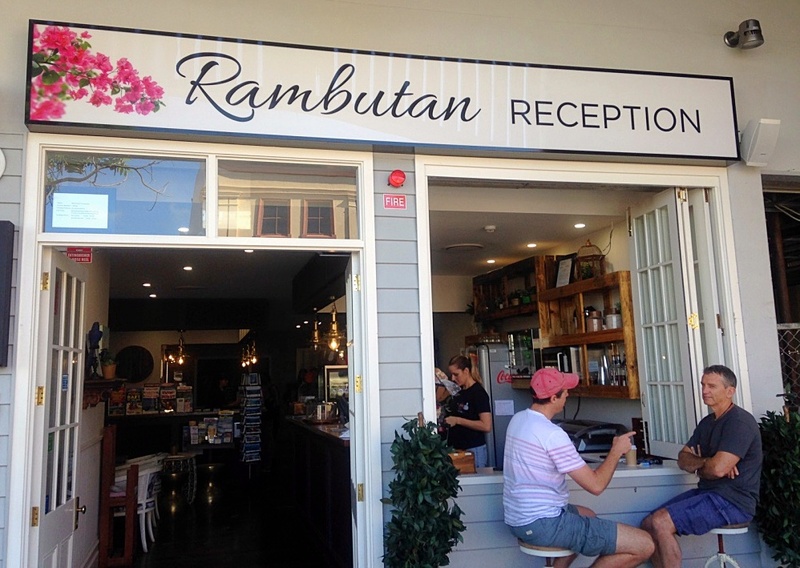 And so it was, that on our return to Townsville from Magnetic Island, we decided to treat ourselves again and return to Rambutan. Having worked for 3 months, we felt it was time to upgrade from the camping and wonderfully Rambutan helped us to spend the night in one of their fabulous private rooms. With a desk perfect for blogging, one of the comfiest beds I’ve ever slept on and a shower the size of a small room, this was the perfect place to enjoy before getting back on the road. Tastefully furnished to perfection, the USB wall chargers, free toiletry products and large complimentary towel selection were a real bonus. Cool, yet cosy, it was the ultimate luxury treat for us budget travellers. 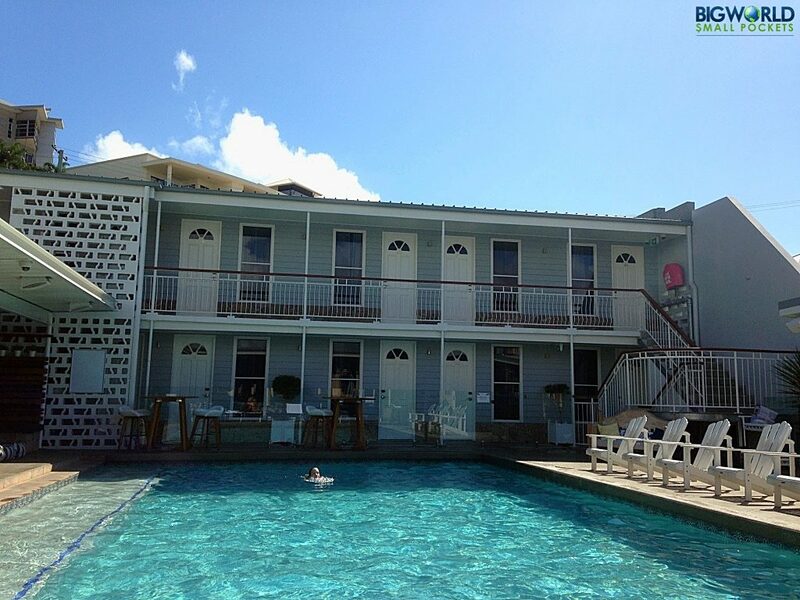 So if you’re looking for a great Australian backpackers, look no further than Rambutan in Townsville. The ultimate relaxation and luxury hostel for weary budget travellers. Want a second opinion on Rambutan? Then check out the great review they got from the awesome folk at hostelgeeks.com too! 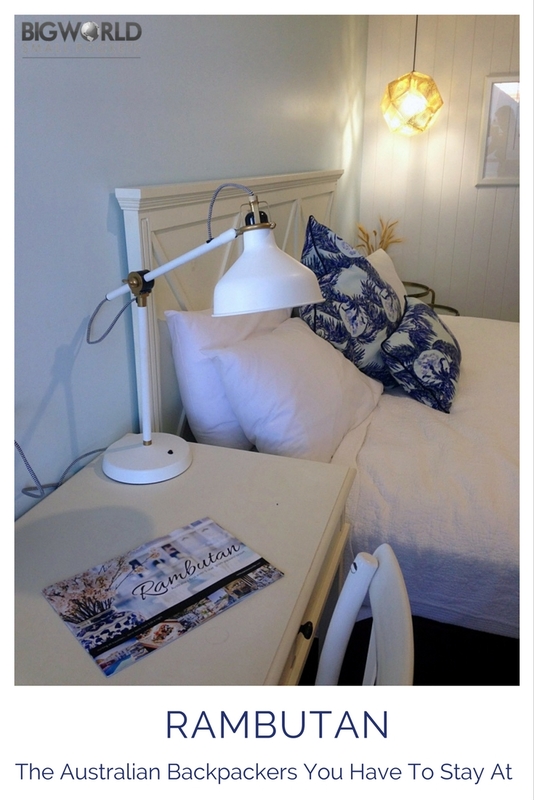 Ohhh, we absolutely love Rambutan Townsville! 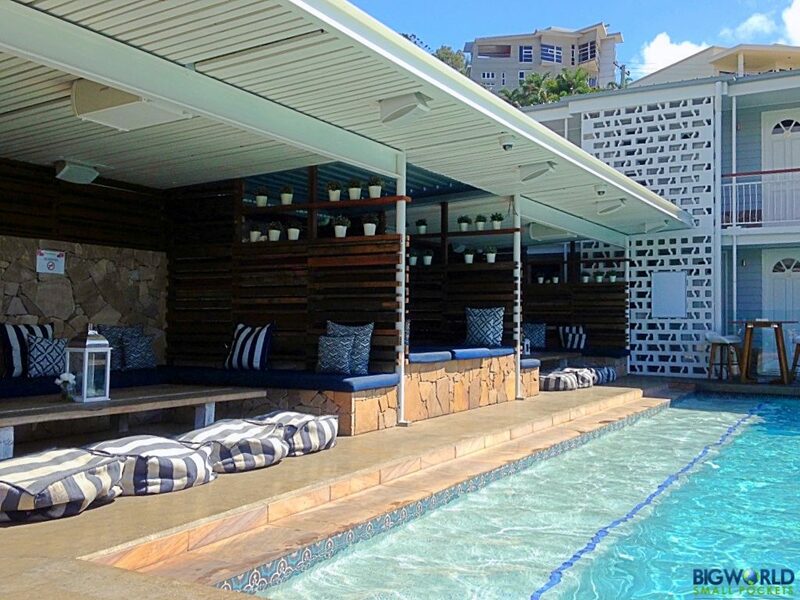 The pool, the food, the vibes…it’s just a dream! They are an awarded 5 Star Hostel as well!! Couldn’t agree more Matt, such a winner! !